What is Evidence-Informed Public Health? 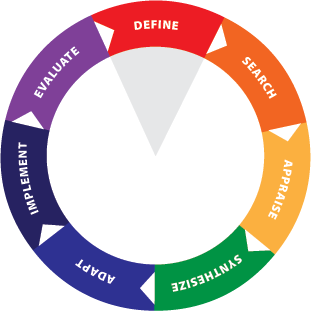 The process of distilling and disseminating the best available evidence from research, context and experience, and using that evidence to inform and improve public health practice and policy. Put simply, it means finding, using and sharing what works in public health. Click on the diagram below for more information and helpful links to help you understand how to complete each step of the process. Find links to recommended methods and tools from our Registry that are applicable to each step. Clearly define the question or problem. 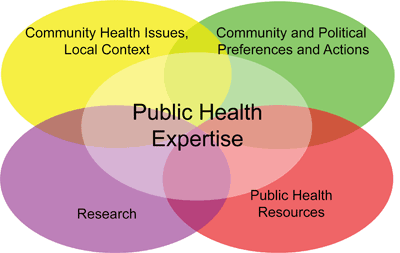 Decision makers must rely on their public health expertise to integrate all relevant factors into any conclusions or recommendations. For more information about evidence-informed decision making refer to our factsheet. Check out the Learning Centre for our suite of online modules and other resources to support your evidence-informed public health skills.